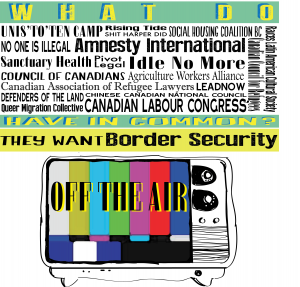 May 2 VANCOUVER, UNCEDED COAST SALISH TERRITORIES â€“ Ninety organizations are releasing an open letter calling for the cancellation of the TV show Border Security: Canadaâ€™s Front Line. Signatories include Amnesty International, Anti-Capitalist Convergence of Montreal, BC Government and Service Employees Union, Canadian Association of Refugee Lawyers, Canadian Council for Refugees, Canadian Labour Congress, Chinese Canadian National Council, Coalition of South Asian Women Against Violence, Council of Canadians, Idle No More, Indigenous Tar Sands Campaign, International Federation of Iranian Refugees, Justice for Migrant Workers, KAIROS: Canadian Ecumenical Justice Initiatives, Queer Migration Collective, Law Union of Ontario, and Simon Fraser University Department of Sociology and Anthropology. 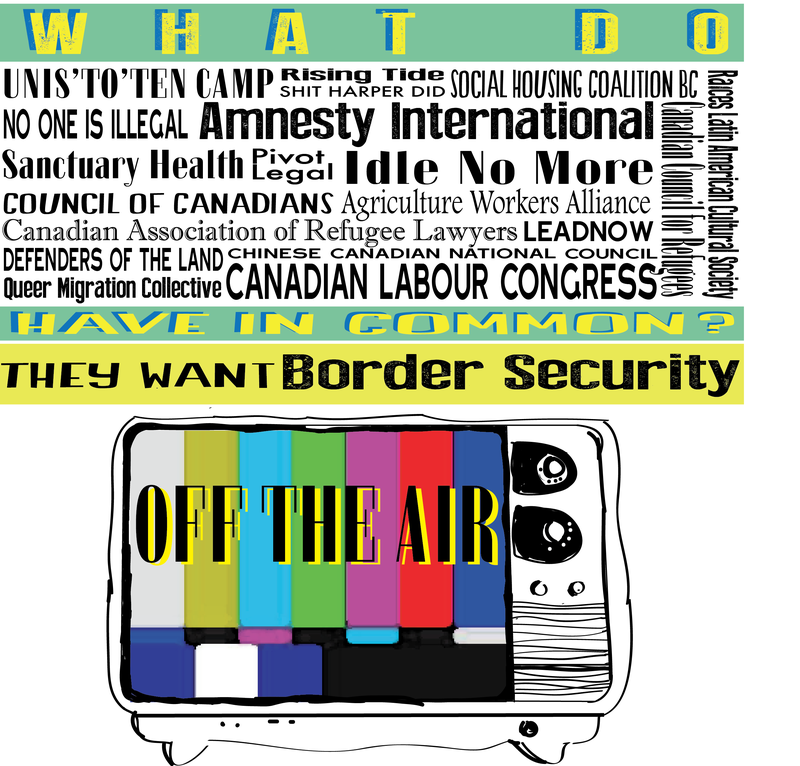 Opposition to Border Security continues to gain momentum. Over 250 cultural professionals including award-winning filmmakers, actors, directors, producers and authors, are calling for an end to the show. The Canadian Bar Association, representing the countryâ€™s jurists and lawyers, have released an unprecedented letter urging Minister Toews to withdraw CBSAâ€™s participation in the show, and a legal complaint to the federal Privacy Commissioner has been filed by the BC Civil Liberties Association. A petition launched by family members and community groups has gathered over 24,000 signatures. Six weeks ago this TV show made headlines when their TV crew was embedded with Canadian Border Services Agency officers during an immigration raid at a construction work site in Vancouver. A freedom of information request revealed that the show is approved by Minister Vic Toews and is receiving support from the federal government, including for operational costs.